Before a good crowd in Austin Stack Park last evening Abbeydorney and St. Brendan’s served up a typical championship encounter where all balls were contested and perhaps the enormity of bowing out of the championship reflected the standard of hurling played .This was a game that had some good patches of hurling but some nervy touches also. 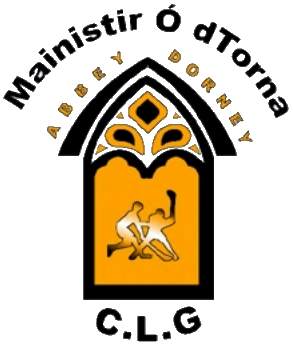 Abbeydorney started the brighter and had 2 points on the board, before St. Brendan’s woke up and started to play some good hurling. Nigel Roche had 5 points from frees and Aidan Healy and PJ Keane one each from play accounted for The Black and Amber scores whilst John Egan replied with 3 (2 from frees) and 1 point each from play from Cian Hussey, Eric Leen David Griffin and Kevin Hannafin left the sides level 7 points each at half time. The second half was again a tight affair, a somewhat fortuitous goal scored by Tim Hannafin left the score at 1-10 to 0-8 points and St. Brendans seemed to be cruising to victory but one thing is for sure this Abbeydorney team doesn’t lack heart and commitment and they kept plugging away. Scores were exchanged at either end and creeping into the 60th minute the score was St. Brendans 1-12 Abbeydorney 0-11. The stadium announcer announced that there would be at least 7 minutes of added time (this was due to an accidental knock to Eric Leen) John Egan attacked the Abbeydorney goal and basically tried to beat too many players he was dispossessed by good Abbeydorney defending and a massive clearance from Abbeydorney landed in the St. Brendan’s square and in amongst the confusion David Egan pounced and tapped the ball past Darren Delaney from a James O Connor hand flick, to the St. Brendan’s net. From the resultant puck out the ball was pucked straight to David Egan who setup Nigel Roche for the equalising score. Abbeydorney had one last chance to win it but the chance dropped short and the referee blew for full time with the side’s level. Time and date of the replay has yet to be decided.